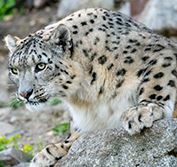 Wildlife holidays & safaris are our speciality and we are experts in every kind of wildlife experience imaginable, from luxury fly-in safaris and privately guided tour to walking safaris, horseback safaris, specialist birding trips, photo safaris, canoeing and camping trips. 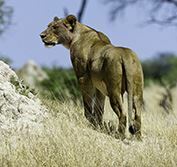 We can give you advice on the best game reserves in Africa to see specific species and the best time of year to visit. 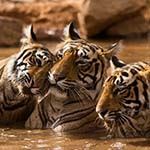 We can also advise on the best tiger reserves in India and the best wildlife holidays in Sri Lanka to see leopards & wild Asian elephants. In Latin America we can advise on the various Amazon options, as well as the Pantanal and rainforests of Costa Rica. We can also provide specialist guides on request. 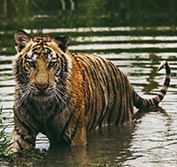 For expert advice on Wildlife holidays and safaris to Africa, India, Sri Lanka, Amazon, Pantanal, Costa Rica & beyond, contact our friendly team on 01582 766122 today. 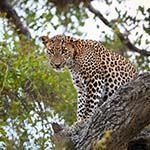 We can tailor make your wildlife holidays and safaris to your exact requirements. 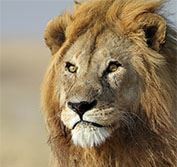 Selling wildlife holidays & safaris to Africa for over 15 years. 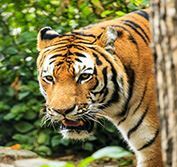 ALL OUR WILDLIFE HOLIDAYS & SAFARIS TO AFRICA, INDIA, SRI LANKA, BRAZIL, AMAZON, PANTANAL, COSTA RICA & BEYOND ARE FINANCIALLY PROTECTED, wherever in the world you live. 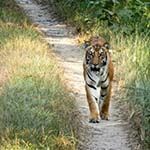 This classic itinerary covers the "must-see" sights of the Golden Triangle - Delhi, Jaipur & the Taj Mahal - as well as Bharatpur bird sanctuary & Ranthambore National Park famous for its Royal Bengal tigers. All sightseeing with English speaking city guides, park fees & jeep safaris included, travelling with your own private driver throughout. This exciting Cape Town safari explores this magnificent city, including Table Mountain, the penguins of Cape Point & the Stellenbosch Winelands. 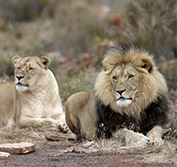 Then enjoy an exciting safarii in the Karoo at either the 4* Aquila Game Reserve, or the luxurious 5* Sanbona Wildlife Reserve - home to the rare white lion. All transfers, park fees & game drives included. Self-drive through the highlights of Namibia, with its clear night skies. See the breathtaking sand dunes of Sossusvlei in the south, the coastal town of Swakopmund & the Bushman Paintings at Twyfelfontein, a World Heritage site. 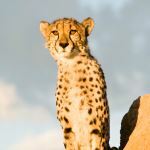 Experience the wildlife of the salt pans of Etosha in the north, before completing your holiday tracking cheetah & leopard in Okonjima - home to the Africat Foundation. Explore three of Kenya's national reserves with your own driver/guide. Enjoy the waterholes of Aberdare at either The Ark or Treetops Camp, where Queen Elizabeth learned she was to be queen. Continue to Lake Nakuru & Masai Mara. Ideal for special requirements such as wildlife photography & bird watching. English speaking guide, all game drives, park fees & transfers included. For a varied wildlife experience, this holiday combines two famous game reserves in Zimbabwe & Botswana. 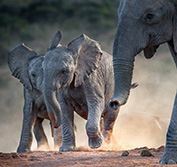 Enjoy land-based game viewing in the big five Hwange Reserve and a river-based safari in Chobe in neighbouring Botswana, with its huge herds of elephants and buffalo. Your holiday also includes the mighty Victoria Falls. All game drives & transfers included. This popular Cape Town self-drive holiday covers the scenic Garden Route in South Africa, ending with a luxury Big Five safari in the beautiful Eastern Cape. View Table Mountain & penguins of Cape Point, explore the Stellenbosch & Franschhoek winelands, see whales in season (July to Oct), Oudtshoorn & the seaside towns of Knysna & Plettenberg Bay. All park fees & game drives included. South Luangwa is well known for its walking safaris, but also offers incredible game viewing by 4x4. 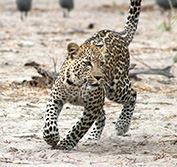 Sustained by the meandering Luangwa River, this famous wildlife sanctuary offers great leopard sightings & abundant bird life, including nesting carmine bee-eaters. Finish at the Victoria Falls, one of the 7 wonders of the world. Light aircraft flights, all game drives & transfers included. From October to May, enjoy a magnificent Sri Lanka beach safari holiday on the warm south coast - excellent for swimming, diving & fishing. Enjoy whale watching in Mirissa, including a boat ride to see blue whales & dolphins. 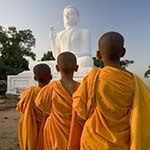 Visit Yala National Park & in Udawalawe see Asian elephants in the wild, before relaxing on the Galle Coast. 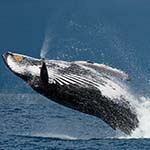 All transfers, whale watching, jeep safaris & park fees included. This holiday offers the amazing opportunity to visit Bird Island in the Seychelles, a pristine coral island north of Mahe that is home to many nesting sea birds & where giant tortoises roam free. 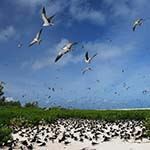 From May to October a colony of over 1 million sooty terns nest & lay their eggs here - an astonishing sight. Then fly to Praslin Island, home of the Coco de Mer palm & rare black parrot. All transfers & light aircraft included. 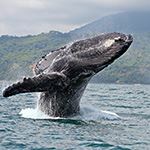 For travel between July and September, the magnificent eastern rainforests of Andisibe-Mantadia offer the perfect combination of lemurs with a luxury holiday on the beautiful beaches of Sainte Marie Island, where humpback whales come to breed. Enjoy night walks, the Indri Special Reserve & Lemur Island. English speaking guide, local flights, transfers & park fees included. 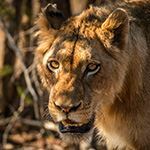 The largest & oldest game reserve in Zambia - Kafue - is not about the sheer number of animals you see, but the incredible diversity. 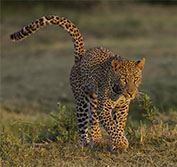 The terrain varies from the Busanga Wetlands in the north to the dry open plains of Nanzhila in the south, perfect for sightings of leopard & cheetah. 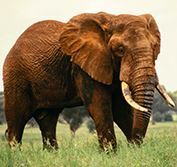 Huge herds of elephants are sustained by its three rivers. All light aircraft flights, game viewing & transfers included. This Cape Town safari is ideal if you want to visit the scenic Garden Route, but do not want to self drive. Start by ascending Table Mountain to see one of the world's most famous views, explore the waterfront, Cape Point & Stellenbosch's winelands. Then fly to Knysna, before experiencing a thrilling Big Five safari in a malaria free game reserve in the Eastern Cape. All transfers, park fees & game drives included. 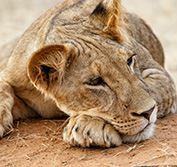 If you are looking for a luxury malaria-free safari in Madikwe South Africa, then this wild and remote game reserve is for you, with its large herds of elephants, wild dogs & lions offering an outstanding safari experience. Complete your holiday relaxing in beautiful Cape Town & its winelands. All transfers, local flights to Madikwe and game drives included. 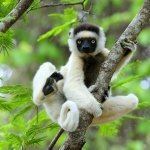 For the adventurous wanting to see the amazing "dancing" sifakas and ringtail lemurs of Berenty Reserve, this privately guided holiday also visits the eastern rainforests of Andasibe-Mantadia, where you can hear the Indri wail. Finish your holiday relaxing on magnificent Nosy Be island with its warm turqoise waters. English speaking guides, local flights, transfers & park fees included. 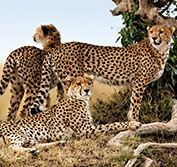 Enjoy a luxury safari in South Africa combining the scenic Drakensberg Panorama Route, where you can visit a wildlife rehabilitation centre, elephant sanctuary & Blyde River Canyon, with a private Kruger game lodge. Complete your holiday exploring beautiful Cape Town, where you can ascend Table Mountain, visit Cape Point & the Winelands. All game drives & transfers included. Experience the desert wildlife of the untamed Kgalagadi, staying at remote rest camps in this vast wilderness with dinners around an open camp fire. Travel with your own private guide who will share his knowledge of the birds & wildlife of this fascinating region. Also visit Augrabies Falls. Ideal for birding & photography. English speaking guide, all transfers, park fees & game drives included. 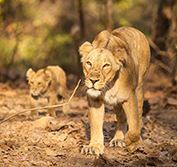 This exciting tiger safari visits two of India's central wildlife reserves - Tadoba Andhari, which is dedicated to preserving tigers in the wild, and Pench National Park - the inspiration for Rudyard Kipling's Jungle Book. Afterwards spend a few days relaxing on the glorious beaches of Goa. All transfers, jeep safaris & park fees included. 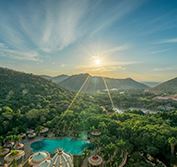 The resort of Sun City offers many attractions, including world famous golf courses and casino, with a Big Five safari in the Kruger - famous for its diversity of wildlife and birds - and time relaxing in beautiful Cape Town. Visit the Stellenbosch Winelands, Table Mountain, Cape Point and the Waterfront. All game drives & transfers included. Combine this amazing Kalahari safari with Cape Town in South Africa. Explore the red sands of the vast Kgalagadi Transfrontier Park with your photo guide, staying in simple rest camps & sitting around a campfire at night. 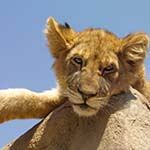 This is home to unique wildlife such as the majestic black-maned lion, cheeky meerkats, prancing springbok & oryx.skies, Star gazing is outstanding. All game drives, park fees & transfers included. Combine a luxury 'Big Five' Kruger Park safari in South Africa with the tropical island of Mauritius, with its white sands, swaying palm trees & turquoise waters. You can enjoy a wide variety of water sports, snorkelling, diving, sailing & fishing, as well as golf, horse riding & island excursions. Enquire about our great value all inclusive & honeymoon deals. All game drives & transfers included. This extensive private tour covers four of the great national parks of Kenya - including Lake Nakuru, Masai Mara, Amboseli (ideal for taking photographs of elephants against the backdrop of Mount Kilimanjaro) and Tsavo, travelling at your own pace with your own driver/guide. 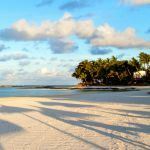 End with a few days relaxing on the Mombasa coast. Ideal for photography & birding. Less 10% for 4+ pax. 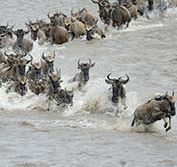 Travel with your own private guide to see the amazing wildlife & birds of Tanzania, including the abundant game of the Ngorongoro Crater, the famous Serengeti plains & Olduvia Gorge. Then relax on the spice island of Zanzibar. Ideal for photography, birding & archaeology. English speaking guide, light aircraft flight, park fees, game drives & transfers included. Explore the key historic sites of ancient Ethiopia, starting in the capital of Addis Ababa. 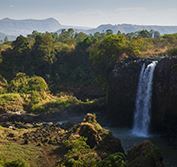 Fly to Bahir Dar to view the monasteries of Lake Tana & Blue Nile Falls, visit the Simien Mountains; palaces & castles of Gondar & Axum, where the Ark of the Covenant is said to reside. Then fly to Lalibela to view its amazing rock hewn churches. All transfers, sighseeing & English guides included. 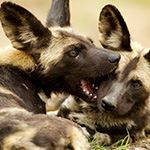 Visit Tanzania's two largest game reserves - the wonderfully wild & remote Ruaha & the vast Selous, offering suberb Big Five game viewing - including huge herds of tuskers, buffalo, wild dog, lion, hyena & other predators. 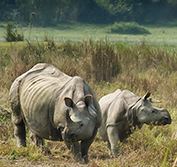 There is also the opportunity to participate in optional walking safaris. Afterwards relax on the unspoilt Swahili Coast. All light aircraft flights, park fees, game drives & transfers included. Visit the magnificent Osa Peninsula and the Pacific Coast on this comprehensive self drive holiday. Visit the waterways of Tortuguero National Park on the Caribbean Coast, renowned for its turtle sightings. View the spectacular Arenal Volcano, the cloud forests of Monteverde & the rainforests and beaches of Manuel Antonio. Local flights included. Transfer option available on request. 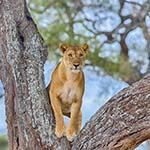 With your own English speaking private driver/guide, visit Tarangire National Park with its baobabs and tree climbing lions; the wildlife rich Ngorongoro Crater & the vast open plains of the Serengeti. 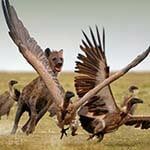 See predators and all the Big 5, as well as the wildebeest migration in season. Ideal for photogtaphy & birding. All game drives, park fees & transfers included. 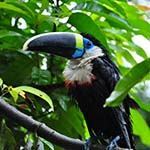 Our Costa Rica wildlife holidays reveal the amazingly diverse flora & fauna of this tiny Central American country, with some of the best birding in the world. 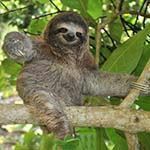 See nesting turtles at Tortuguero National Park; sloths, birds & rainforest wildlfe in Monteverde Cloud Forest & around Manual Antonio & Arenal Volcano. All vacation transfers are by shuttle, with specialist birding guides on request (supplement payable). 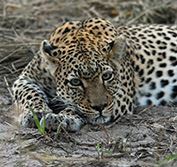 Safari Hluhluwe National Park: This wonderful private tour explores the wildlife, scenery & history of Zululand, travelling with your own driver/guide. Hluhluwe is renowned for preserving the rhino from extinction & is home to all the Big Five as well as many other fascinating species. Also visi the Zulu Battlefields & Drakensberg Mountains. English speaking guide, all transfers & game drives included. Your journey begins at the thundering Victoria Falls, before flying along the river to the Lower Zambezi. 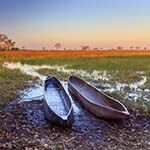 This unspoilt reserve offers spectacular rived-based game viewing, with the highlight of canoeing down the Zambezi where elephants swim with their trunks held high. 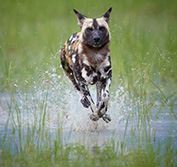 Fly onwards to South Luangwa to enjoy another safari adventure. Light aircraft flights, all game viewing & transfers included. 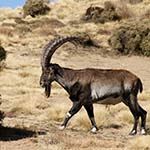 Experience the thrill of varied game viewing by foot, on land & on water in two great game reserves. 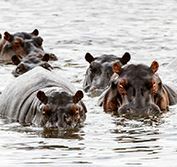 Chobe National Park offers large herds of elephants & buffalo and huge hippo pods, whilst South Luangwa is famous for its big cat sightings, walking safaris & birding. Also visit the Victoria Falls on the mighty Zambezi River. Light aircraft flights, all game drives & transfers included. Our tailormade Uruguay wildlife holidays explore the flora & fauna of this beautiful country. 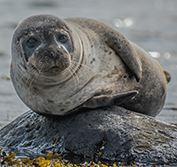 From Montevideo, we travel to Santa Teresa Nature Reserve on the Atlantic coast to see green sea turtles, the sea lion colony at Cabo Polonio & the birdlife at Rocha Lagoon. We then head west to the Carmelo winelands & the charming colonial city of Colonia del Sacramento. All transfers & specified sightseeing included. 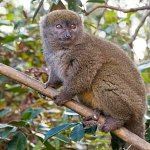 This privately guided tour offers the chance to see 12 different lemur species & many endemic birds, combining the eastern rainforests with the well-known RN7 southern route. 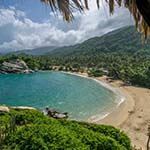 Visit Andasibe-Mantadia, Ranomafana, Isalo & several private reserves, then relax on Anakao beach. Ideal for special interests such as botany, birding & photography. English speaking guide, transfers, local flights & park fees included. 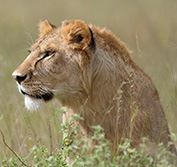 The famous open plains of the great Masai Mara Game Reserve is renowed for its vast herds of plains game and predator sightings. 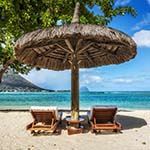 After your luxury safari, fly to the beautiful beaches of Mauritius, where the weather is warm all year round, with special honeymoon and anniversary deals. All game drives, park fees, light aircraft flights and transfers included. This luxury flying safari in Kenya visits three of its most famous wildlife reserves. Samburu in the north is home to several endemic species, including the gerenuk antelope that browses on its hind legs and Grevy's zebra. The Masai Mara is known for its lion, whilst at Amboseli you will see huge elephant herds on the slopes of Mount Kilimanjaro. All game drives, light aircraft flights & transfers included. This luxury Kenya flying safari starts with a visit to the Ol Pejeta Conservancy near Mount Kenya, famous for its rhino sanctuary and the Sweetwaters Chimpanzees. After visiting the chimps, we fly to the famous Masai Mara Game Reserve for more outstanding Big Five game viewing, before relaxing on beautiful Diani Beach. All park fees, game viewing, light aircraft flights & transfers included. 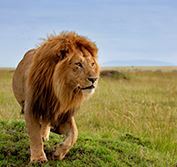 After viewing the Big-5 wildlife of the famous Masai Mara in Kenya, fly to Kigali in Rwanda. From here drive to Bwindi Impenetrable Forest in Uganda - home to many endangered species including the stunning silverback mountain gorilla. The experience of tracking a family of these magnificent creatures on foot will stay with you forever. All light aircraft flights, transfers, game drives & gorilla permits included. From May to November, experience the wilderness of Mana Pools National Park on the southern shores of the Zambezi River - a World Heritage site. View wildife canoeing down the river, where wild dog & cheetah are often sighted. The bird life is also superb. Also enjoy a Big-5 safari in Hwange & a visit to the amazing Victoria Falls. Light aircraft flights, all game drives & transfers included. Explore the birding & wildlife of Colombia on this wonderful private tour that includes both the Amazon & the rainforests of Tayrona National Park, as well as the Cocora Valley & the Otun Quimbaya Reserve. Also visit the Gold Museum in Bogota, the charming colonial town of Villa de Levya & the Salt Cathedral, as well as photogentoc Cartagena. English speaking guides, all transfers & specified sightseeing included. 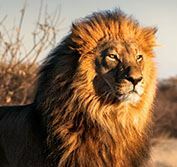 OFFER (free internal flights): Experience the thrill of a luxury Big Five flying safari in Serengeti Tanzania, combined with Zanzibar Island. Stay at Kirawira Serena in the Western Corridor of the Serengeti, where the Grumeti River migration crossings occur, before flying to Zanzibar to explore historic Stone Town & relax on a turquoise beach. All light aircraft flights, transfers, game drives, park fees included. Combine a visit to historic Quito in the Andean Highliands, with an expedition cruise through the pristine Galapagos Islands. 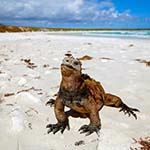 The wildlife here is quite unaffected by people and you can walk among nesting blue-footed boobies, see giant tortoises, iguana, frigate birds and so much more. Dive options also available. Galapagos flights, marine fees & all transfers included. 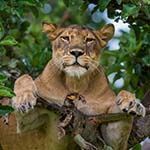 This fabulous flying safari in southern Tanzania combines 3 of the most remote game parks in the world - Katavi, Ruaha & Mikumi - each offering a different wildlife perspective. 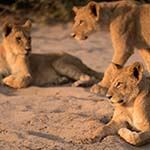 Experience the privilege of game viewing in these remote areas, with optional walking safari. Complete your holiday relaxing on Zanzibar Island. All light aircraft flights, park fees, game drives & transfers included. Experience the highlights of Botswana on this classic flying safari. Enjoy river-based game viewing game in Chobe National Park. 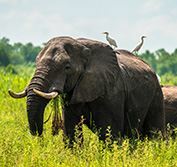 Then fly to the Savute Plains, famous for its big cat & elephant sightings, before visting the watery Okavango Delta, with game viewing by mekoro canoe. All light aircraft flights, game viewing, park fees & transfers included. 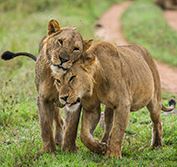 OFFER: ONE SAFARI NIGHT FREE (except late Jun-Aug & Dec): This amazing Kenya and Victoria Falls safari holiday combines Big Five game viewing i in the famous Masai Mara with & river-based game viewing in Chobe Game Reserve, Botswana. 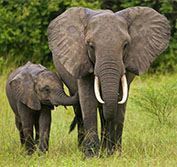 Visit Sheldrick Elephant Orphanage & Stone Town, before relaxing on Zanzibar island in Tanzania. Light aircraft flight, all transfers & game viewing included. 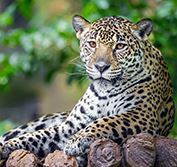 Explore the best of Brazil, starting your holiday at the thundering Iguassu Falls & enjoying the wildlife of the unspoilt Pantanal wetlands, where you can search for majestic jaguars and other species & enjoy outstanding birding. Visit the cultural centre of Salvador in Bahia state, before finishing in the spectacular city of Rio de Janeiro. All specified transfers, wildlife activities & sightseeing included. Travel through the diverse national parks of Kenya and Tanzania with your own driver/guide. 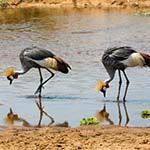 Enjoy the birds and wildlife of Lake Nakuru and the Masai Mara. Cross over into Tanzania at Lake Victoria and explore the Serengeti Plains & Ngorongoro Crater. Perfect for keen wildlife photographers & birding enthusiasts. English speaking guide, all game drives, park fees & transfers included. SPECIAL DESERT & DELTA OFFER: Explore this amazing country in depth on this all inclusive luxury safari in Botswana, staying at a combination of luxury lodges. Fly by light aircraft to Moremi Game Reserve & the famous Okavango wetlands, with game viewing on land & by mekoro canoe. Then fly to the open Savuti Plains & Chobe Game Reserve, with its river-based wildlife. All light aircraft flights & game viewing included. 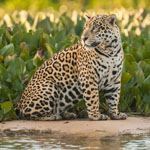 This amazing Pantanal wildlife holiday to Brazil explores the largest tropical wetland in the world, including a thrilling jaguar safari travelling by boat along the rivers of Porto Jofre. Also visit the thundering Iguazu Falls & cosmopolitan Rio de Janeiro. All specified transfers, wildlife activities, park fees & transfers included. Specialist birding guides on request (supplement payable). 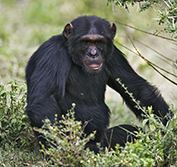 If you love primates, this Tanzania safari holiday combines chimp tracking in Gombe Stream National Park, where Jane Goodall did her famous research into chimpanzees on the shores of Lake Tanganyika, with Big-5 game viewing in the vast Serengeti National Park. All light aircraft flights, park fees, game drives & transfers included. 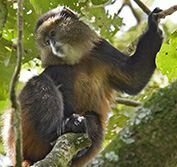 This classic private tour allows you to explore the primates of Uganda in depth & see up to 10 different species. 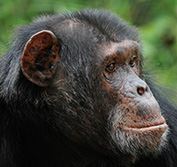 Track chimps in Kibale rainforest; view wildlife by boat & jeep in Queen Elizabeth Park & trek to see endangered mountain gorillas in Bwindi Impenetrable Forest - creating memories of a lifetime. English speaking driver/guide, all transfers, park fees & gorilla permits included. Min 15 yrs to track gorillas. Enjoy the dramatic scenery on this thrilling Namibia flying safari that visits the giant sand dunes of Sossusvlei in the Namib Desert, before continuing to Etosha National Park with its abundant wildlife. 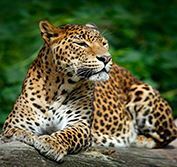 Complete your holiday with a visit to the Africat Foundation in Okonjimo, where you can track cheetah & leopard. All transfers, light aircraft flights, specified game drives & Africat activities included. 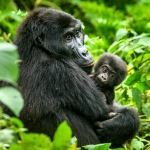 This gorilla tracking and safari holiday is a once in a lifetime opportunity to experience the Big Five on a fly-in safari in Tanzania and also track endangered mountain gorillas. Trek through the tropial rainforests of Rwanda to see these magnificent primates. Light aircraft flight, all game drives, transfers, gorilla & golden monkey permits included. 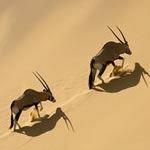 Combine the deserts of South Africa & Namibia on this privately guided holiday. 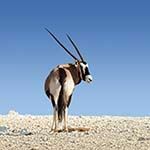 Experience the unique wildlife of Kgalagadi, before travelling to the dunes of Sossusvlei & the Namib Desert. See the vast salt pans of Etosha, home to a variety of big cats & track cheetah and leopard at Africat. Ideal for special interests such as photography. English speaking guide, all transfers & game drives included. 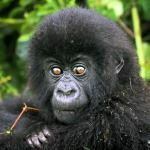 Explore the rainforests, lakes & mountains of Rwanda with your own private guide. Travel to pristine Nyungwe Forest to see chimps & white colobus monkeys in their natural habitat & a vast array of tropical bird life. Relax on the shores of Lake Kivu, track endangered mountain gorillas in Volcano National Park & view large game at Akagera. English speaking guide, transfers, gorilla & chimp permits included. 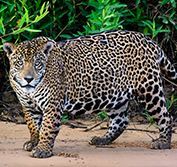 This incredible wildlife holiday to Brazil combines the jaguars, giant river otters, tapirs, caimans & other wildlife of the Pantanal wetlands, with the dense jungle of the Amazon Basin, with some of the best birding in the world. At Manaus you can see the phenomenon of the 'Meeting of the Waters'. Then relax in cosmopolitan Rio de Janeiro. All wildlife activities, transfers & park fees included. 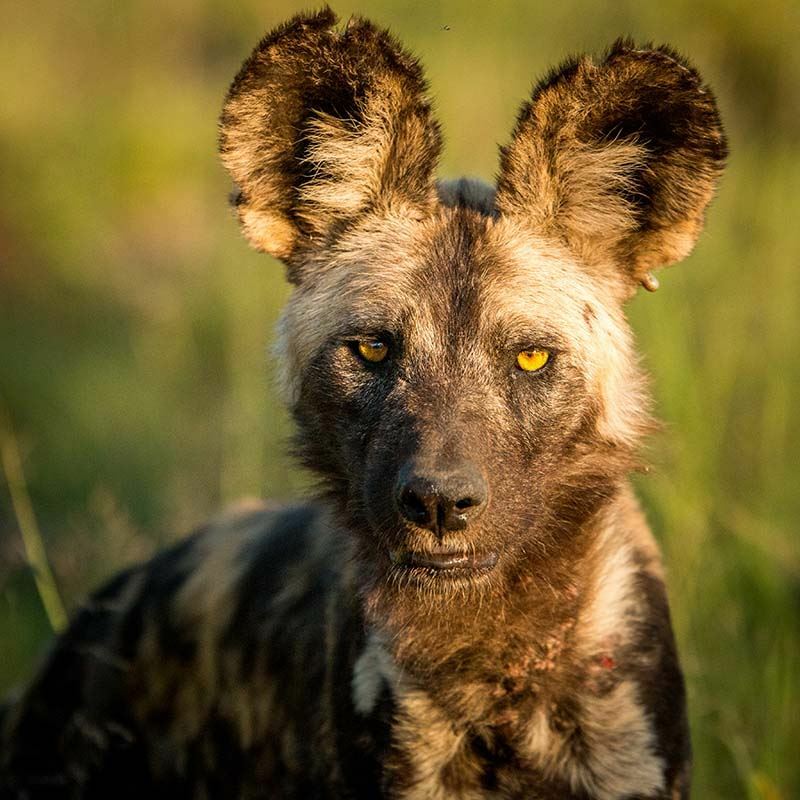 Explore another side of Botswana on this safari, which flies in to Chobe, Savuti & the Okavango Delta - as well as the hauntingly beautiful landscapes of the Makgadikgadi Pans, where you can view meerkats & sleep out under the stars. From December to April a large zebra migration occurs here, with vast herds moving across Nxai Pan followed by their predators. All light aircraft flights, game viewing & transfers included. View over 10 different primate species on this magnificent private safari that travels through Uganda & Rwanda. Track chimpanzees on foot in Kibale rainforest, view the river-based wildlife of Queen Elizabeth Park & trek to see endangered mountain gorillas in both Bwindi Impenetrable Forest & Volcanoes National Park. 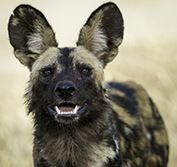 English speaking guide, all game viewing & wildlife permits included.